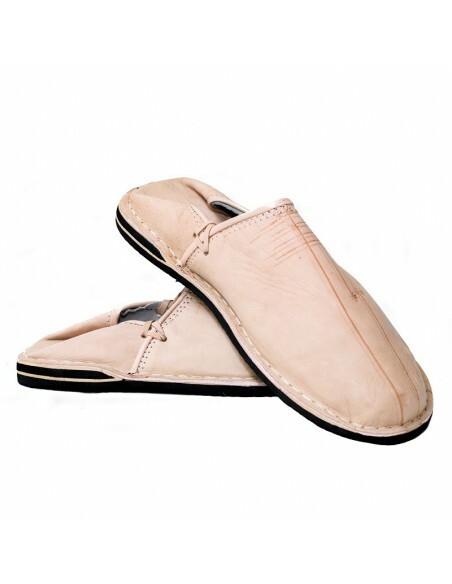 Natural Menara moroccan slippert for men, rugged, 100% leather, this shoe Moroccan séduuira you with the quality of materials and finishes, produiit Morocco. 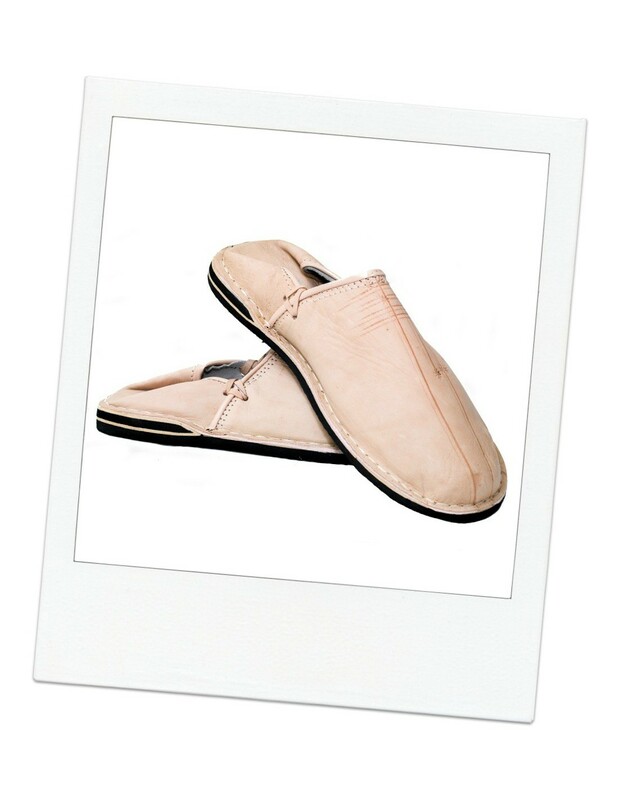 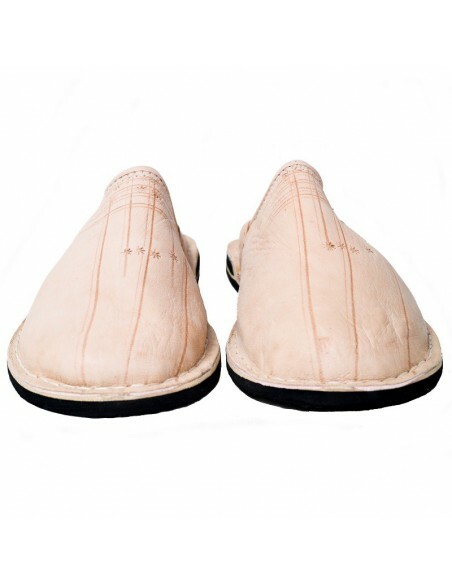 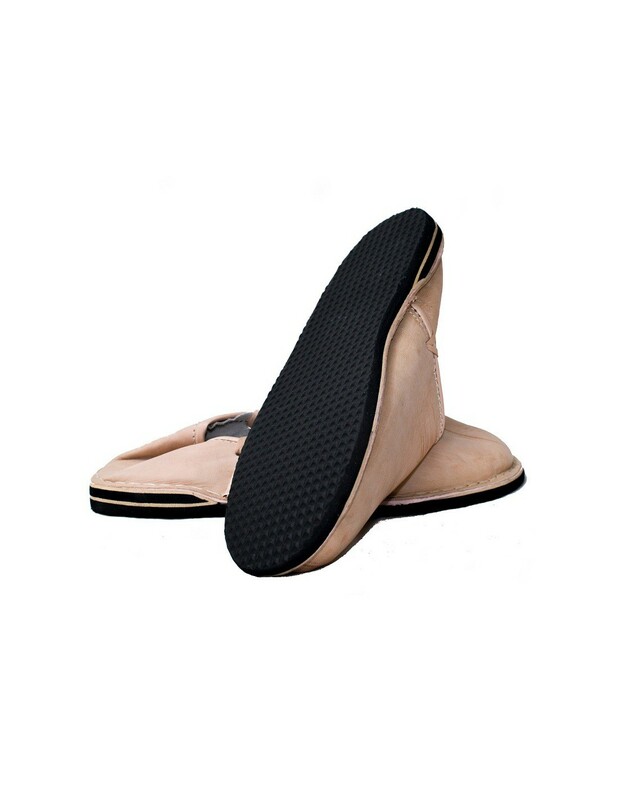 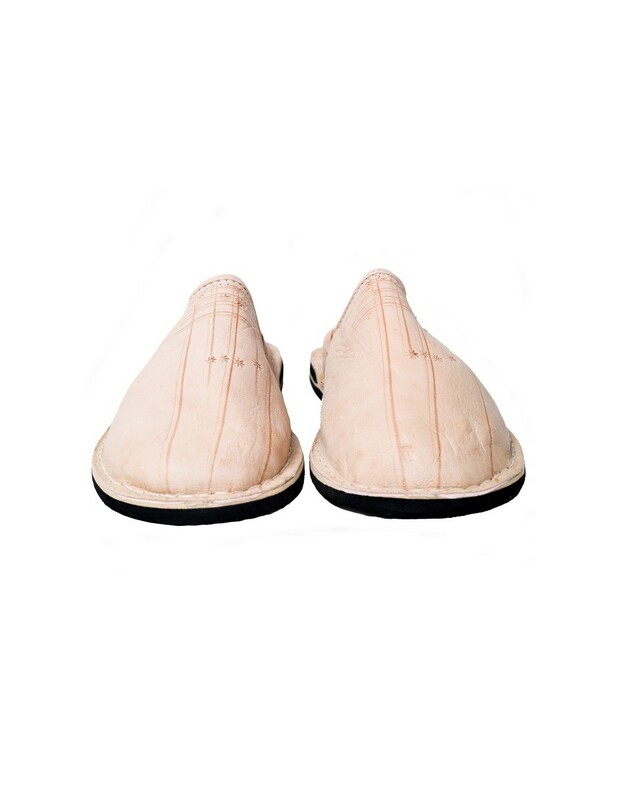 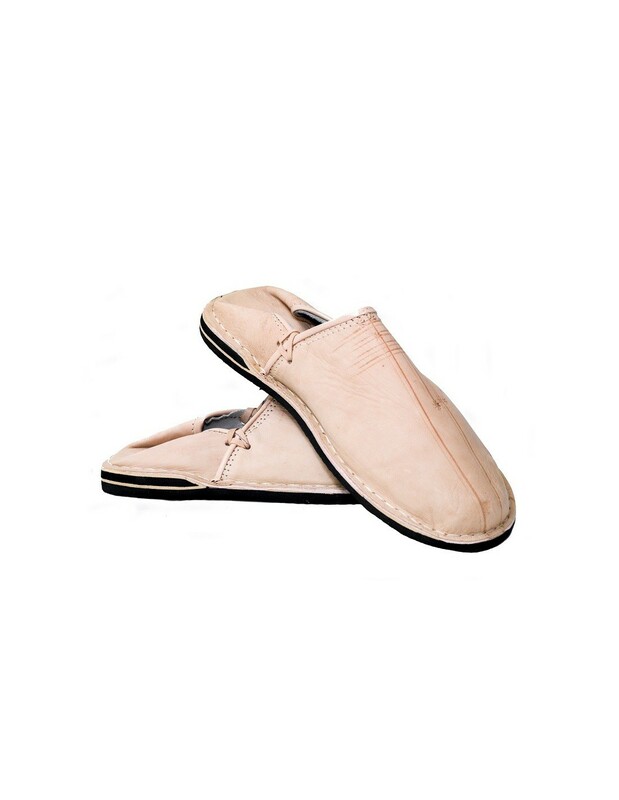 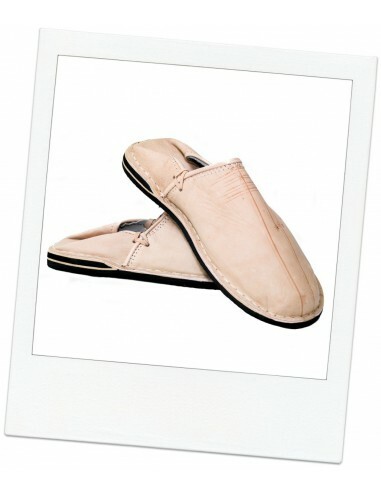 Moroccan slippers Menara Natural color, 100% leather, handmade by Moroccans craftsmen, slip rubber sole. 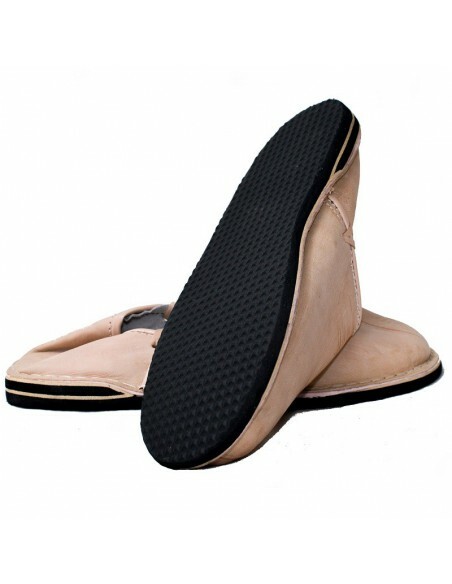 Model that facielement door inside and outside your home.